It has been about 35 years since additive manufacturing, also known as 3D printing, was introduced into our lives by Charles hull when he invented the process of SLA; Stereo-lithography. It always dazzles me how viral 3D printing has become and how fast it grows. By 2006, SLS, also known as selective laser sintering was introduced to the SLA technology and by 2008 the first self-replicating 3D printer came to life. How Impressive? A 3D printer that you can be used to print its own parts and components, producing its own replica!!! And there you have it; this was the first breakthrough to 3D printing. Over this short period of time, we have managed to develop it to an extent that makes it hard to imagine where this might be going. If you have been looking into 3D printing or if you have seen or maybe tried using a 3D printer, you understand that a simple way to describe how they work is to say that they lay down a layer after a layer from a certain material to form a three-dimensional object. Now here's the part you get to ask the question that you came here for, what is that "certain material "? You wonder what is best to use. Are there any rules when it comes to this? 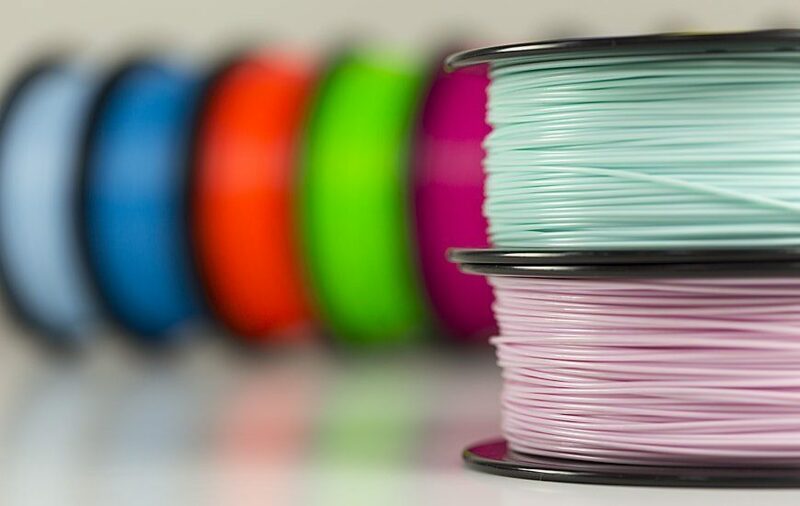 Does it matter what filament you use and could this affect how your print turns out? Well lucky for you, you are in the right place to have all the answers. But now that you have asked your questions let me ask mine …. WHAT ARE YOU USING 3D PRINTING FOR? Or in other words, what features do you want your 3D print to have? And answering this question is the key to answering all the above-mentioned questions. Plastics are the most commonly used material not just in 3D printing but in most industries as well. Not only does plastic have a wide range of colors that appeal to customers, but it's also pocket-friendly to both manufacturers and consumers. It has a low melting point and is commonly used in Fused Deposition Molding (FDM) printers. Plastic is firm and has good flexibility. It's usually used in making toys and action figures in addition to being used in a variety of household goods. The first thing that should come to your mind with ABS is "Legos". The material consists of spaghetti-like filaments. It's strong and has various bright colors that make it used in making plastic jewelry as well. 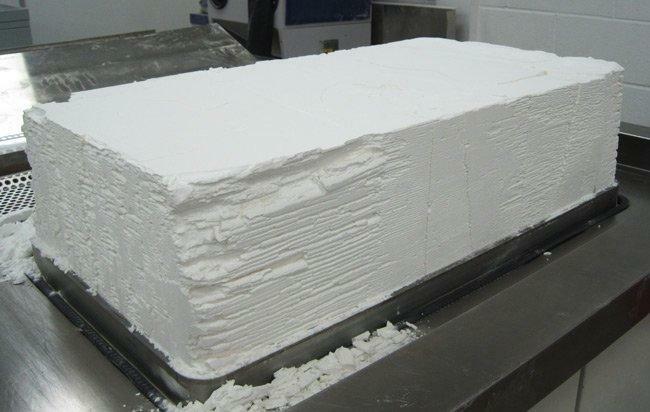 Being derived from cornstarch and sugar cane, PLA happens to be both eco-friendly and biodegradable. It's the second material - after PETG - to be used in food industries. It can be used with FDM, SLA, SLS technologies and does a decent job in DIY project. PVA is known for its solubility and is widely used as a support material. Generally, support materials need special chemicals to dissolve but on the other hand, PLA happens to be soluble in tap water. Polycarbonate fibers are not as popular in the market compared to the above-mentioned types. They have trademarked names as Lexan, Makrolon, Makroclear, and others. The thing about PC fibers is that they need a specific design of nozzles which can operate at high temperature. It is usually used in the manufacture of low-cost plastic fasteners and molding trays. And we're off to the second most used material used in 3D printing; Metal. It might be a little surprising for some minority of people that metal is used in 3D printing because they have a general idea is that plastic is the only material that could be utilized. But, if there's anything to compete with plastic in 3d printing it is without a doubt metal. Metal dust is most often used to print prototypes of metal instruments, to simplify the process, let's say that it starts with binding metal dust and then firing it to become a solid metal part. The technology most frequently used is direct metal laser sintering or DMLS. Metals, such as stainless steel, bronze, gold, nickel steel, aluminum, and titanium are usually used in 3D printing. 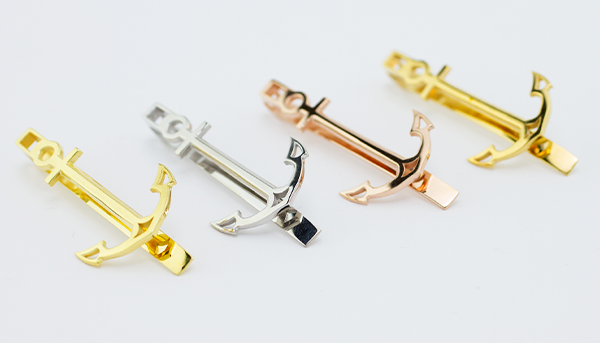 From jewelry production to machine parts and even medical devices, manufacturers are becoming more and more fond of this material by the day because unlike plastic, metal can be used to produce prototypes not just finished products. Another field that is becoming dependent on metals is aerospace industries as GE Aviation is massively increasing the rate of printing injectors taking it to an annual rate of 35,000 units by 2020. Because there are a wide variety of metals with such wide applications, let's break them down a little so that we can have a better look at which metal is best suited for which industries. These are like silver, Gold, and platinum. Yes, you guessed right, we are talking jewelry. These metals have high resolution and smooth surface. And even though they're mainly used for jewelry, manufacturers have been using them in dentistry and medicine as well as electronics and producing functional models. One, you don't want them to lose their elegant and aesthetic properties. I mean metal is generally strong but you probably already know that these specific metals need to be spoiled. Two, you want to make sure none of it is wasted because these are quite expensive. This is why it is probably better to use them with Lost Wax techniques. Do you want to take a break from all the expensive fancy stuff talk? There goes one of the most affordable metals. Stainless steel has a high resolution and it is corrosive resistant it has very excellent elastic and magnetic properties and it is pretty strong. You can easily be creative with it and layer it with coats of different colors. It is Ideal for printing out utensils, cookware and other items that could ultimately come into contact with water. It could be used in the manufacturing of functional models too. 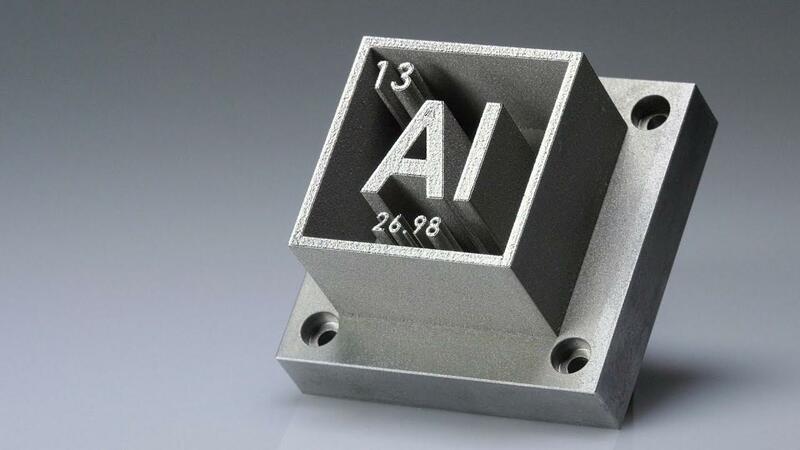 Another metal that is popular with 3D printing and has a wide range of applications is aluminum. It has a lightweight and is heat and corrosion resistant not to mention how strong it is. It is mainly used in aluminum-based alloys but it can be used in other industries like automotive and aerospace industries. If you want your print to be resistant to mechanical stress as well as high temperature and all at a reasonable price then aluminum is the way to go. It is ideal for making thin metal objects and you can use it with Direct Metal Deposition and Binder Jetting 3D printers. 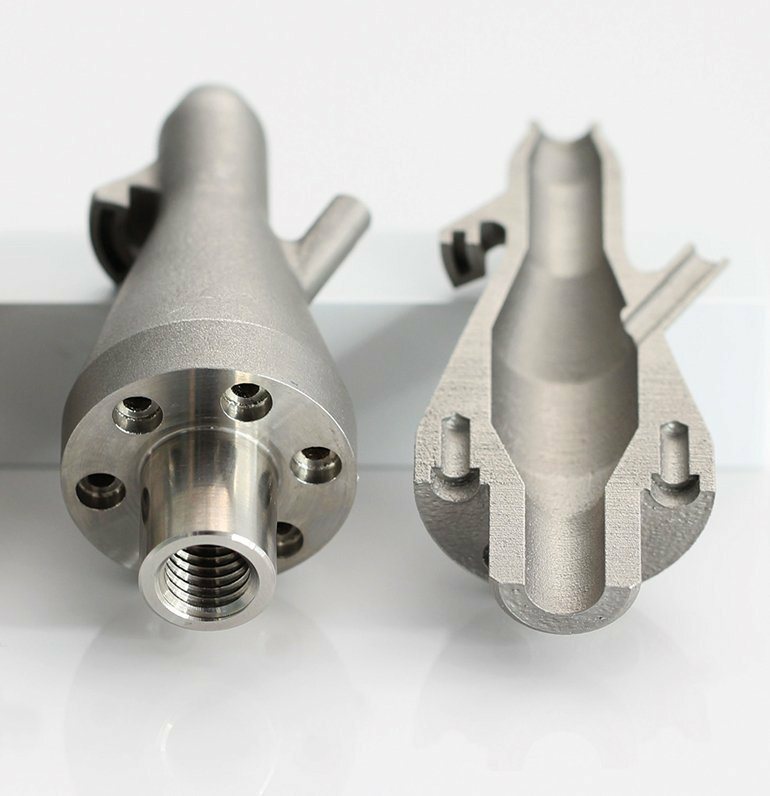 In my humble opinion, if titanium stands out from any of the other metals that could be used in 3D printers in anything, it will be its contribution to the medical field. Titanium prosthetics are widely used and are affordable compared to other materials. Moreover, titanium is used in making parts and prototypes for aerospace, automotive and tooling industries. Nickel alloys 3D prints are way stronger than those made in traditional techniques in addition to being more durable which make using 3D printing to produce them of great advantage. In the time being, Alloys that combine nickel's properties, as well as properties of other metals, are being produced. It is also the perfect material for printing coins and like most of the other metals, it can be used in automotive and aerospace industries. Visual arts and crafts are where bronze shines. It has an impressive electric conductivity and thus used in electric engineering together with copper. With few exceptions, it's used with Lost Wax Casting processes rather than Powder Bed Fusion. Nylon is also called white plastic. It is known for its strength and great flexibility in addition to being durable. It has a wide range of applications from medical to engineering and even arts. If you want to store nylon, keep it in airtight containers or bags as it degrades from humidity. It is strong and smooth polished surface, it has good flexibility and it is chemically resistant so it's used in a lot of medical application, concept models, tooling and visual arts. Alumide is made from a mixture of polyamide and grey aluminum. It's considered a variation of nylon and is too similar to it in many aspects. When you compare it to nylon you notice it is more shiny and durable. It has a porous surface finish and gives such an impressive accuracy with the printed material. It is also heat resistant and has high resolution. It has a grainy or sandy appearance and is relied on in industrial models and prototypes. Looking to end up with a print that is as strong as metal but at a much affordable pocket-friendly price? Here's how to get there, use carbon fibers on top of plastics ( like PLA, PETG, Nylon, ABS, and Polycarbonate) it will make the plastic a lot stronger and it is definitely more cost effective. It is expected that in the near future, much faster printers will be available to speed up the process of layering of carbon fibers. Carbon fibers show very good dimensional stability. If there's anything that I find to be of a bother when it comes to using these filaments, it is the increased oozing while printing. Also, they can easily get brittle and they happen to be abrasive so they require steel hard nozzles. You also need to be aware that carbon filaments have a high tendency to clog. The thing that should attract your attention to using graphene is its conductivity and strength. 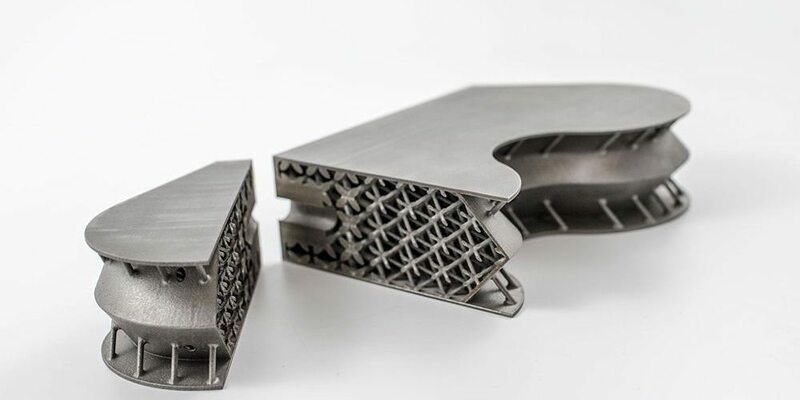 And this is what attracted the Australian-listed graphite and nickel miner, Kibaran Resources and drove it to part with the 3D-printing company 3D Group to work on a developmental venture called 3D Graphtech Industries. This all aimed to further analyze and study the 3D capabilities of the pure forms of carbon. Impressively, Graphene surpasses even the best conductors. Nowadays, graphite with high purity and crystallinity is used to produce graphene. The best part is, even though it is really strong, it is light, which is why it is considered ideal for producing device parts as touchscreens where flexibility and hardness come in handy. It also happens to be used in making solar panels and building circuits made of extremely tough material parts. One thing that's crystal clear to manufacturers is how promising the use of graphene is in 3D printing. It's about time for recycling supporters to rise and shine. Surprisingly, using paper in 3D printing has a lot of advantages. And the most worthy part is, you can always use that stock of paper you have hanging around somewhere in your desk or at home instead of throwing it all away. Truth be told, resins are not the best when it comes to flexibility or strength and are rarely used for this reason. They are liquid polymers cured with UV light exposure. 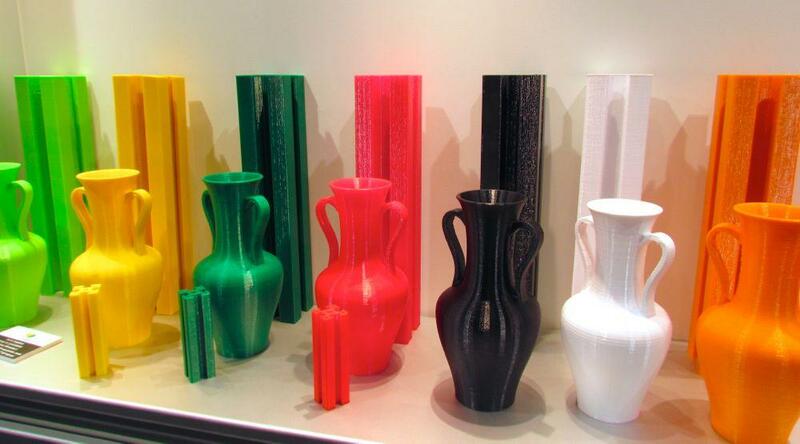 Traditionally, resins come in white, black and transparent colors. You can use resins in visual arts, tooling, concept and functional models as well as medical manufacturing. As the name implies, you can use this type in printing small designs in which a lot of details are required to be printed with accuracy. This is another go down this road for those who need the prints to be appealing with the advantage of having a smooth surface. They are Ideal for figurines with facial details. These are the strongest and smoothest out of the three classes with a glossy transparent finish. Sounds a little unfamiliar right? That's because Nitinol is actually a mixture of nickel and titanium. Doesn't it strike you as a little weird that I didn't just mention it with these metals instead of making it a separate entity? The reason is, in one word, it's irreplaceable. It's so valued in 3D printing for its superelasticity and is perfect for medical implants manufacturing. You can literally restore it back to its original shape after hours being folded. How admirable! Along with the rising curve of 3D printing, and with the development of delicate extruder systems like WASP's clay extruder kit 2.0, ceramics can now be used in 3D printing and easily turned into solid pottery. It is heat resistant and fragile with a porous surface and can be printed with SLA, Fused Deposition Molding or Binder jetting technologies. It can be used in arts, and tableware as well as dental implants. Another material that you can add to the list is wax, although most of the time it's not the final product it is safe to say that it is in so many scenarios a crucial step. It has a low price and gives quite a high resolution along with a smooth surface to the print. I know you probably didn't see this one coming, but wood fibers have been successfully added to plastic filaments and shockingly, the prints turn out to look as if they're made from only real wood. There are a lot of ways that you can play with because, as we all know, there are a lot of different types of wood. Moreover, you can control the shade of brown you want you're print to have to make the whole process interesting. Hope you now know where to start!